A fresh cocktail for those hot summer days. 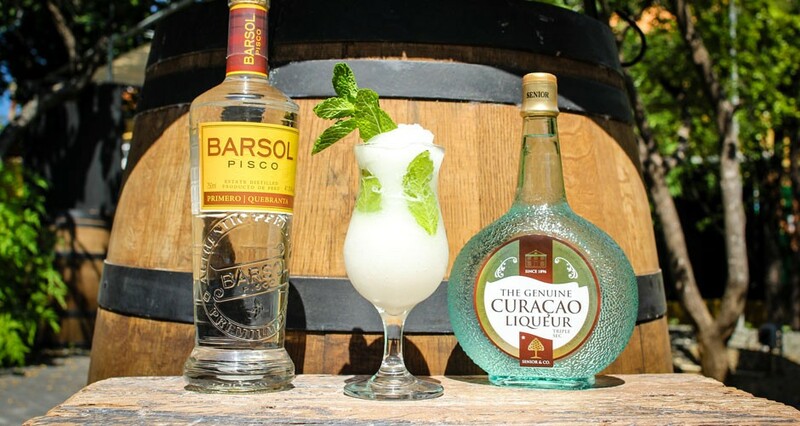 The blend of Pisco and Curaçao Triple Sec gives it a unique bite. Pisco is brandy based and made in the region of Peru and Chile. The funny thing is that, just like our liqueurs, Pisco is also a product that emerged because of Spanish settlers. They were seeking an alternative for Orujo—a local drink in the North-west of Spain— and found that the abundance of grapes available was a great solution. Add all the ingredients in a blender. Add ice until blender is full and blend on high speed. Keep adding water until the blender is filled. Take a chilled Margarita glass, moisten the glass rim and dip the rim into salt. Pour the Margarita into a glass and garnish with a slice of lime.